Alpine Electronics of America, Inc. is now shipping the X109-WRA 9-inch Restyle dash system for 2011-up Jeep Wranglers. 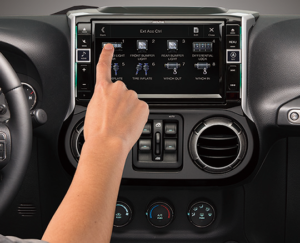 In addition to its audio, video, navigation, and Bluetooth functions, this product goes beyond the infotainment system by offering control of other Jeep accessories right from the touch screen. The X109-WRA consists of the main unit featuring a 9-inch touch screen, a dash bezel specifically fitted for the Jeep Wrangler, and vehicle specific wiring harnesses. 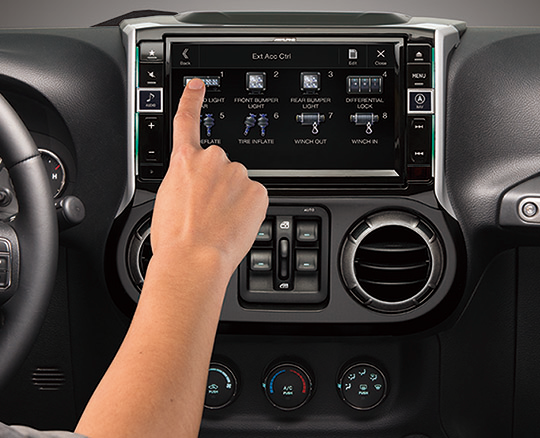 The dash bezel completely replaces the factory radio footprint and has large buttons which are back-lit to match the lighting on the Wrangler’s gauge cluster. Audio sources include a built-in HD Radio™ receiver, “Made for iPod and iPhone” music control, audio streaming, Pandora® internet radio control from a smartphone, FLAC music playback via USB, and SiriusXM programming (SXV300 tuner and subscription required, sold separately). Video features include a new anti-glare screen and HDMI input for connectivity to HDMI-enabled devices. The navigation system has pre-loaded maps of the United States and Canada, with free lifetime HERE Traffic RDS service. The X109-WRA comes with an iDatalink® Maestro® module to retain select factory features like steering wheel controls. Vehicle information such as tire pressure and user selectable gauges can also be viewed on the screen. The “My Favorites” function lets the user assign shortcuts to the most-used features like audio sources, navigation commands, and phone settings. Jeep Wrangler owners often add accessories like a light bar, winch, air suspension, etc. for their off-road adventures. These accessories can be controlled from the X109-WRA’s touch screen when used with the optional KAC-001 External Accessory Control Module (sold separately). The X109-WRA can control up to eight accessories, and a graphical icon and name can be assigned to each one for quick identification on the screen. A simple press of the touch screen allows each accessory to be controlled as a pulsed, latched or momentary output, depending on how the accessory is configured. The KCX-C250MC Multi-Camera Controller (sold separately) is helpful for Jeep Wranglers equipped with multiple camera systems. This optional module works with up to three camera systems and allows viewing modes from each camera to be controlled and monitored right from the X109-WRA’s touch screen. 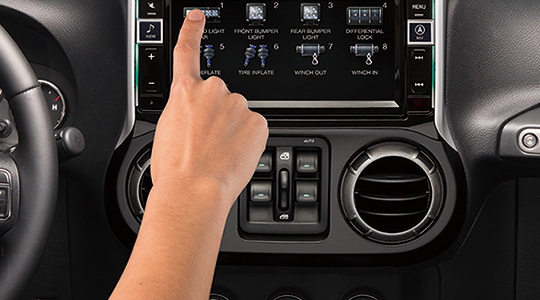 The X109-WRA has a capacitive touch screen and a new GUI (graphical user interface) with 4-way swipe control so users are one swipe away from commonly accessed functions: swipe left for navigation, swipe right for audio and video features, swipe down to adjust the audio system or rear seat entertainment system (sold separately), and swipe up for Bluetooth and source selection. Within the audio and video page, the user can swipe across to access the entertainment sources connected to the system. The X109-WRA is compatible with the new Alpine Connect app, which provides popular infotainment apps from leading content providers through the Alpine interface. Alpine Connect currently features apps from Yelp® and iHeartRadio, with more apps to be added in the future. The Alpine Connect app is free and available now on iTunes and Google Play. The X109-WRA joins two other Alpine Restyle models for 2011-up Jeep Wranglers, the i109-WRA 9-inch dash system with Apple CarPlay and the X009-WRA 9-inch dash system. All products are available now, visit www.alpine-usa.com for a store locator. Superlift worked behind the scenes with OE Engineers to develop these lifted coil springs. The result is the best ride and handling characteristics of any 4” lift coil available. They’re pre-set to minimize settling and guarantee a consistent ride height. This Superlift kit also includes an adjustable front track bar with forged ends and Superlift’s Lifetime Warranted REFLEX bushings. The adjustable length allows you to fine tune the suspension given winch bumper combinations etc. and the bushings are a dual durometer design built to handle extreme angles and greatly reduces Noise, Vibration, and Harshness (NVH) over standard poly bushings or heim-joint ends. This kit also includes replacement rear sway bar links, adjustable cam-bolts, brake line extension brackets, a rear frame mounted track bar relocation bracket and Superlift Superide shock absorbers. Options include: front and rear REFLEX Control Arms, front sway bar quick disconnects, rear REFLEX adjustable track bar, and factory replacement, high-clearance single or high-clearance dual steering stabilizers. 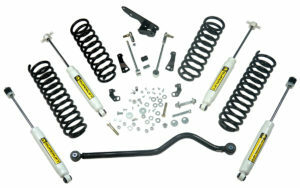 Each stabilizer design is available with Superlift Superide or SS series cylinders by Bilstein. • Superlift coil springs provide a full 4” of lift while improving OE ride quality. • Rear coil springs are tuned specific to 2 door and 4 door models. • Includes adjustable front track bar with Superlift’s Lifetime Warranted REFLEX bushings. • Includes rear frame mounted track bar relocation bracket. • Includes replacement rear sway bar links. • Includes cam-bolts to fine tune alignment. • Includes frame mounted brake line relocation brackets. 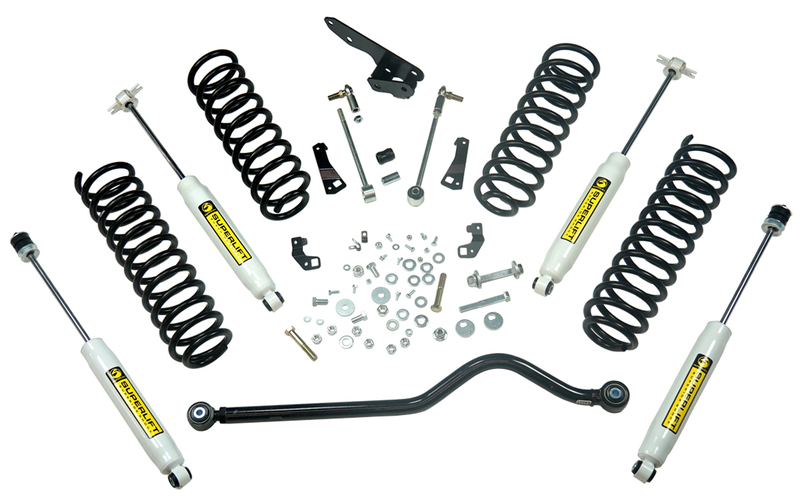 • Includes Superlift Superide shock absorbers valved specifically for the Jeep Wrangler. • Easy to follow DIY friendly instructions. • Lifetime Warranty and Satisfaction Guarantee. OR-Fab’s Full-Width steel front bumpers give ’97 to 2006 Jeep TJ Wranglers an updated look that can stand up to extreme trail torture. Manufactured from 3/16- inch thick steel these bumpers are precision laser cut, CNC press brake bent, and are hand welded for a perfect fit and finish. There’s no cutting or enlarging factory bumper holes to make them fit. OR-Fab’s Full-Width bumpers are available in two styles; one with a two-inch diameter grille hoop and welded light mount tabs (PN 83665), the other without the grille hoop (PN 83664) for a streamlined appearance. 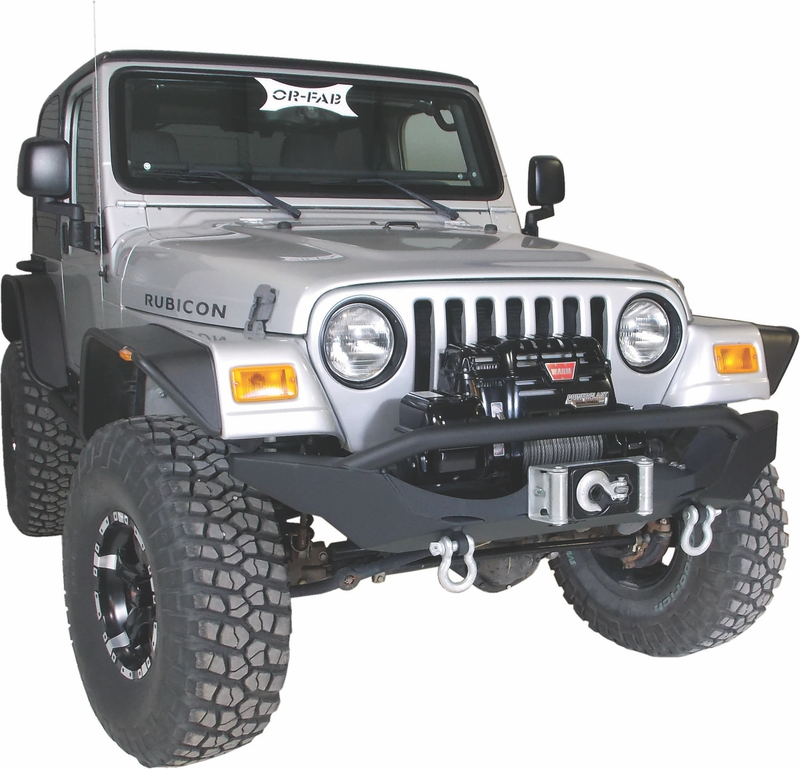 Both come with an integrated fairlead winch mount and feature two 3/4-inch heavy-duty D-ring mounts and D-rings. The full-width design provides maximum trail protection while enhancing the vehicle’s appearance. 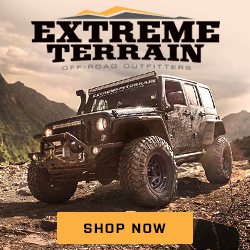 OR-Fab’s HD Full-Width bumpers for the Jeep TJ, are also available in a wrinkle heavy-duty black powder coat finish and mount to the factory bumper mounts using the OE hardware.